A whole house well filter is a device that is designed to protect the home’s main water line, from contaminants that can rust, damage or corrode the lines. The filter works effectively to prevent or greatly reduce contaminants from entering the home, through the main water lines. Water from the main water line goes into several main faucets in the home: bathroom, kitchen, laundry room, etc. Whole house filtration system and filters remove heavy metals, sediments, gravel, dirt and other contaminants that can harm the body, and affect most appliances. Whole house well filters and filtration systems are ideal for homes of any size. Here at Schultz Soft Water we take the time to help you address all your household needs. A homeowner should look for the following things when looking to purchase a whole house well filter: performance, specifications, features, warranty, and installation. Performance is primary. Choosing a whole house water well filter that treats the entire water supply at an adequate rate, and yet provides continuous uninterrupted water flow is important. The flow rate of water is measured in GPM or gallons per minute. The performance of the flow rate basically determines how much water is available for operating the essential appliances in the home such as the shower, the toilet, the dishwasher and the hot water boiler. The recommended flow rate depends on the flow rate requirement of the appliances in the home. GPM or gallons per minutes: The system must be able to meet the needs of the entire house as a whole. How much water the appliances use, how much water the house uses for flushing the toilet, showering, watering the plants, etc. Average the amount, and look for a filtration system that is able to treat a large amount of water on a continuous basis. Removal of common contaminants: The whole house water well filter should offer removal of common contaminants found in most homes water supply. The details of the product must be specific to which contaminants the filtration system can remove, reduce, or eliminate. Understanding what a product does, before purchasing it can save money and time. Make sure that the filtration system is large enough and powerful enough to accommodate all the faucets and water lines in the house. Reduces rust particles, dirt, rock, and sand sediment from the drinking water. 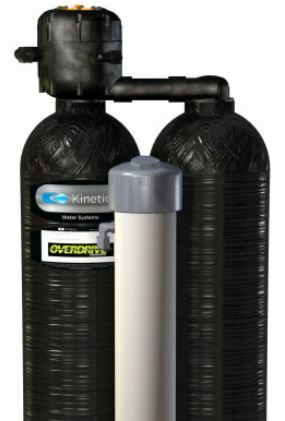 Filtration systems designed to control common well water issues such as these are important in taking preventative measures to protect your water using appliances. Our typical filtration recommendation removes sediment down to the size of 1/16th the diameter of human hair or 5 microns. Schultz Soft Water offers professional installation services and manufacturer warranties on all products we sell. Purchases are backed by a guarantee that the products and services offered are of the highest quality. Treating hard water in the communities of Central Minnesota and surrounding areas, are the core objective of Schultz Soft Water. Customers can rest assured that they are getting the best whole house well filter that is guaranteed to meet or exceed the needs of their family. Schultz Soft Water welcomes new families to our growing list of happy and satisfied customers. We offer a non-electric 24 hours on demand approach to pure, fresh water. Schultz Soft Water equipment is the ideal solution for homeowners and businesses with no knowledge of self-installation. Water problems are a main problem for most homes, and our installation makes it easier for home and business owners to choose our no worry installation and warranty, for all of their water needs. Products are chosen according to our customer’s needs, and pricing is economically set, so that everyone can enjoy non contaminated water for drinking, showering, cooking, laundering and gardening. All products are customized to the need of the customers, because at Schultz Soft Water we put quality and customers first. As long as the products and equipment are under warranty, they are repairable and replaceable, with the same or with similar products, all backed by our exclusive warranty. Our commitment goes far beyond servicing customers and providing them with great service and products.